A rescued block of Daintree rainforest is being named after local conservationist Chris Bennett. The rainforest property is a vital piece in the jigsaw connecting National Park and Nature Refuge to create a protected wildlife corridor in the Cape Kimberley area. 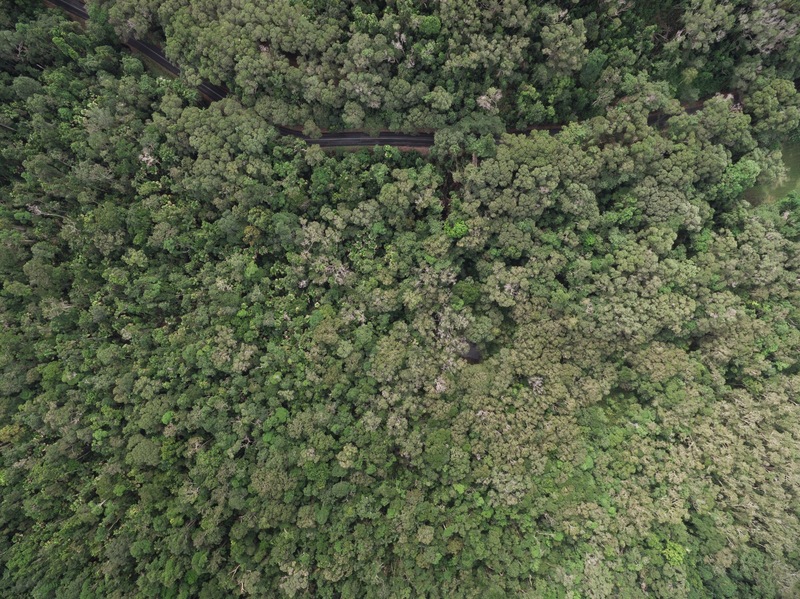 Lot 38, Cape Tribulation Road, was recently purchased following a fundraising campaign by Rainforest Rescue and The Douglas Shire Sustainability Group. Now named the Chris Bennett Reserve it is the 26th rainforest property saved and protected forever by Rainforest Rescue in the Daintree. “Chris Bennett played a pivotal role in the protection and on-going conservation of the Daintree Rainforest and without his dedication and tireless efforts this “jewel in the crown” of Far North Queensland’s eco-tourism industry would not be afforded the protection it has today." The economic value of the Daintree to regional tourism is estimated to be over $300 million per annum. 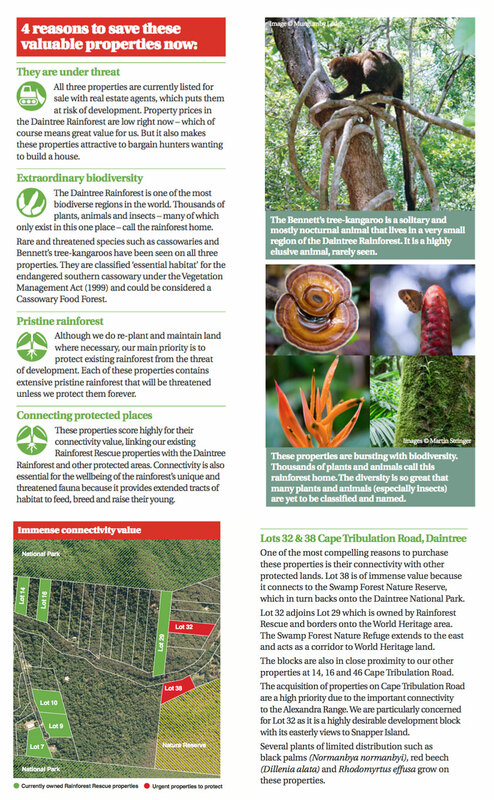 However, despite current planning restrictions in the Daintree there are over 150 freehold properties within the lowland rainforest. This unprotected land contains internationally important and unique habitat with high conservation value. Chris moved to the Daintree from Sydney in 1996. He helped to establish the Daintree Rainforest Foundation and led a major fundraising drive to buy more than six hectares of land linking Alexandra Range to the Bailey’s Creek catchment. This rainforest was protected forever by creating the Baralba Wildlife Corridor Nature Refuge. A covenant keeps the land from being developed and helps conserve habitat which supports endangered wildlife, including cassowaries and tree kangaroos. Chris and many others campaigned tirelessly to further protect the Daintree rainforest. “It’s a fitting memorial to Chis Bennett’s memory and an honour for Rainforest Rescue to have an important piece of rainforest named in his memory. The Daintree is a vulnerable and special place. It hosts a diverse ecosystem, one that is found nowhere else in the world. Guardians like Chris have made it possible that future generations will be able to enjoy this special place." The Chris Bennett Reserve is one of two top priority rainforest properties recently rescued with your support. Campaign material explaining why Lot 32 and 38 were priorities to rescue.